Didn't get chance to post yesterday so I am posting two photos this morning. Today is going to be a busy day too, so will be limited on checking out your photos. Thanks so much for the comments and favs for my photos over the last couple of days. I am having a very busy week and it is rather hectic here at the moment. Here are a couple more photos from Morpeth. This photo is of the floor in the courtyard café where we had lunch. The bricks with diamond patterns and shapes imprinted in them were apparently made by convicts in the 1880s and the patterns are their marks. Even brick-makers want their name to be known. Good shot! 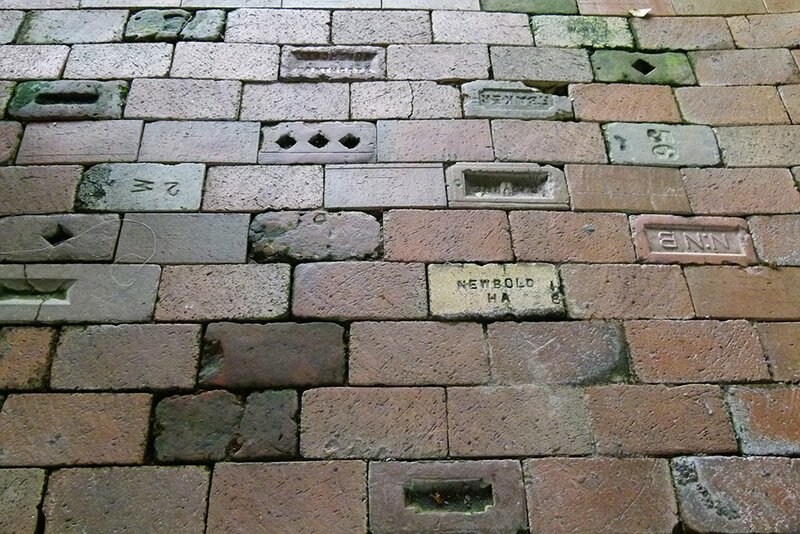 How fascinating, I love looking at brick paving like this, so interesting. what an amazing find and shot. Interesting. Bet the convicts didn't get coffee and cake though! I find this photo really interesting and would like to be there and see the whole floor for real. I love these old bricks.